Does the threat of SIDS have you losing sleep? Do you find yourself watching your baby’s every breath at night and losing out on your own sleep? I get it. When I was a new mom, I hated to even leave the room when my child was sleeping. Although I knew the chance of SIDS happening was slight, it’s still a parent’s worst fear. One minute your child is sleeping peacefully and the next moment, they’re gone. Before I started to imagine the worst however every time my child closed her eyes, I decided to make myself feel better by learning everything I could about SIDS and a baby’s sleeping habits. Armed with my newfound knowledge, I felt more in control of the situation and less like a sitting duck. I’m happy to use what I learned to help you work through your fears as well. This article will teach you everything you need to know about what happens when your baby rests its precious head. Getting enough sleep is important for all of us, but it’s especially vital for a baby. It’s when the blood supply for their muscles grows, repair and growth of tissues takes place, and the body releases key hormones for development and growth. Sleep, or the lack of it, can impact a baby’s temperament, central nervous system and brain maturation, and even their cognitive abilities (source). Because they are growing and developing so rapidly, babies need a lot of sleep. By the time they reach 2 years old, children will have slept 40 percent of their life (source). Until they are about two months old, babies need from 15 and one-half hours to 17 hours of sleep per day. By the time they reach three months old, they still need 15 hours of sleep. From four months to 11 months old, they’ll require 12 to 15 hours per day. Toddlers, from the ages of 1 to 2 years old, should have anywhere from 11 to 14 hours of sleep. But, as much as sleep is needed, it’s not without risk. Every year, about 3,500 infants die from sleep-related causes in the U.S. Accidental suffocation for babies has increased by 300% from 1984 to 2004. Babies are 40 times more likely to die from suffocation while sleeping in a grown-up’s bed. It doesn’t have to be like that however because many of these deaths are preventable. It’s hard to say how many deaths could be prevented by simply educating parents, but some experts say the risk could be reduced by as much as 50 percent (source). But in order to trim these numbers down and save some lives, the word about sleep hazards for babies has to be spread. Sleeping should be a peaceful time for both you and your baby. You’ve worked hard to make their nursery a calming, well-decorated place for them to rest, but, unfortunately, that nursery can be a scary place at times. There are many risks you have to be on the lookout for. Chances are, you know some things about SIDS already because it is a huge concern for parents everywhere. SIDS, or Sudden Infant Death Syndrome, is a risk for babies who are under the age of 1. With SIDS, a baby who seems perfectly healthy can go to sleep just like any other night — the difference is they never wake up. They die in their sleep, leaving their devastated families to wonder what happened. But it’s most common in babies 6 months and younger – 90 percent of SIDS cases happen in this age group (source). Those most at risk for SIDS are babies between the ages of 1 and 4 months. SIDS is only confirmed after every other possible known cause is ruled out. SUID Vs SIDS Vs Fatal Sleep Incidents. What's the Difference? The nursery is one of the top spots where an SUID can occur. SUID stands for sudden unexpected infant deaths. An SUID is when a death happens to a baby who is less than 1 year old and there is no cause of death that can be discovered immediately. Accidental suffocation or strangulation in bed, which is broadly known as fatal sleep incident. In 2015, approximately 1,600 children died because of SIDS. Another 1,200 babies died from unknown causes, and approximately 900 more died because of accidental suffocation or strangulation while they were in bed. In recent years, SIDS has continued on a downward trend from a high of 130.3 deaths per 100,000 live births in 1990. The rates have continued to drop in the years since then and were at 39.4 deaths per 100,000 in 2015. But unlike SIDS, the number of deaths per 100,000 live births have begun to increase in recent years for both unknown causes and accidental suffocations. Because of the increases in both these categories, the overall SUID rate increased from 87.5 deaths per 100,000 births in 2014 to a higher number in 2015 of 92.6 deaths per 100,000 births. There are certain conditions or factors that elevate the risk of SIDS and SUIDS. But before you start having a panic attack because your baby falls into one of these categories, keep in mind the overall risk is still very low. The brains for premature babies aren’t as well developed as full-term babies’ brains are. Prevention: Follow your doctor’s instructions carefully, particularly if you are put on bed rest. Delaying birth as long as possible will give your baby the best fighting chance it has. Much of the sleep danger that our babies face come from us parents. We try to make them more comfortable, but our efforts only put them in danger. By following what the experts tell you, you can reduce a lot of the risk. Prevention: Remove any pillows, bumpers, blankets, or stuffed animals from your baby’s crib. When babies are around secondhand smoke, their respiratory function isn’t as high as babies who aren’t around smoke (source). Prevention: Don’t smoke when you’re pregnant or after your baby is born, and don’t hang around with people who smoke around your child. Visiting your doctor for regular prenatal check-ups can help your child avoid SIDS and SUIDs because doctors will be able to spot any conditions that may cause premature labor. If they can spot it, they may be able to slow it down. Prevention: Make sure you keep all the prenatal visits your doctor tells you to. Alcohol and drug use during pregnancy is a well-documented SIDS risk for children. When mothers drink alcohol, it can increase the risk for SIDS as well as other reasons for infant death (source). Prevention: Stay away from alcohol and any illegal drugs while you’re pregnant or breastfeeding. In addition, check any over-the-counter medications out with your doctor to make sure their still safe. For whatever reason, boys have an increased risk of SIDS. Approximately three out of every five SIDS cases happen to boys (source). Prevention: You can’t do a thing about this one — the gender of your baby is out of your control. Some children who die from SIDS were known to have a viral illness right before they died. That leads researchers to believe there is a link to the two, especially because SIDS seems to be more prevalent during winter months when more respiratory illnesses are circulating (source). Prevention: Try to protect your baby from germs as much as possible by limiting its exposure to sick people. Babies who are born to women under the age of 20 are more likely to have SIDS than babies born to older women. That risk climbs if a young mom has more than one child. Prevention: If you’re under 20 and you have a baby on the way, don’t panic. Your baby will likely be fine. Just make sure you take all of the advice you’re reading in this article. Babies who breastfeed are less likely to die from SIDS. Perhaps that’s because breastfed babies have less respiratory illnesses (source). Prevention: Your best bet is to breastfeed until your baby is at least 1 year old. Multiples, like twins or triplets, have an increased risk of SIDS because they often have low birth weight and premature birth. Prevention: While it isn’t something parents of multiples should panic about, they should remain vigilant and look for ways to reduce the threat. Some babies who die from SIDS have an abnormality in the section of the brain that is linked to breathing, body temperature, and heart rate (source). That could be a matter of simple genetics or there could be something else influencing it. Prevention: There isn’t anything you can do about it. Just relax and take comfort in the knowledge that most babies will be just fine. If a room is too warm or a baby is overdressed, it may cause an increased metabolic rate in babies, which could cause them to lose control of their breathing. Prevention: While you don’t want a baby’s room to be too chilly, it shouldn’t be toasty warm either. Doing everything you can to avoid illnesses for your baby is a good starting point when it comes to avoiding SIDS. Getting the proper immunizations can help achieve that goal. Prevention: Make sure you understand which immunizations are required at what times for your baby, and stick to that schedule. It can be tempting to try to link anything to SIDS, especially because of how random it appears to be. It’s hard not to wonder about what could cause a seemingly perfectly healthy baby to suddenly die. It’s natural to want to try to find a cause for it, or pin it on some change in schedule or diet. Medication: Medication is not believed to cause SIDS. Contagions: SIDS is not contagious from child to child. Even if viruses play a small role in SIDS — which hasn’t been determined yet — most children who get viruses don’t die from SIDS. So there are other factors that account for it. Vaccines: While many parents are leery about perceived harmful consequences of vaccines, SIDS is not caused by vaccinations. Since most infants do receive a series of vaccinations around the same time as SIDS occurs, it’s easy to understand why grieving parents might link the two. But studies have shown no spike in SIDS caused by vaccinations (source). Is Suffocation Really a Big Hazard? The threat of suffocation in bed can sound like the ramblings of the overactive imagination of a worried mom, but it’s a very real possibility. And the incidences of suffocation in bed have spiked in recent years unlike SIDS which has dropped. The cases of accidental suffocation and strangulation in bed for babies 1 and under quadrupled from 1984 to 2004 (source). In 1999, 12.4 babies out of every 1,000 born in the United States died from suffocation. But by 2015, the number of fatalities for every 1,000 babies had increased to 28.3. Most of those deaths happened in bed. A parent’s bed is the deadliest of all for babies. Babies are 40 times more likely to die from suffocation while sleeping in a grown-up’s bed instead of their crib (source). And even if babies don’t die from suffocation, they can end up with other horrific injuries caused by being deprived of oxygen. Permanent brain damage is one of those risks. Most cases of accidental suffocation and strangulation in bed happen during a baby’s first 6 months. More than 85 percent of the cases happen during that time frame. But the greatest risk is in the first 3 months. Although older babies can and do die from accidental suffocation and strangulation as well, it is rarer from 7 months to 1 year old. With accidental suffocation and strangulation while sleeping on the rise in recent years, experts are quick to point toward bed-sharing as the cause. Suffocation can happen quickly when blankets inadvertently end up over a baby’s face or when babies end up wedged between a mattress and a wall (source). Does SIDS Have a Genetic Predisposition? If you’ve had a child who died from SIDS, obviously you’ve been through an extremely traumatic event. It’s only natural for you to be over-the-top worried for any future children you have. Doctors don’t know if the risk is elevated for any younger siblings of a child who died of SIDS. But they do believe that one gene mutation is not the cause for all cases of SIDS (source). They do wonder if there are genes that predispose children to SIDS when combined with other risk factors. There is no way to completely eliminate the risk of SIDS so you’ll still undoubtedly feel worried about it happening again. The best thing you can do is to educate yourself about what you can do to reduce the risk as much as possible. Do Certain Ethnicities Have Higher SUID Rates? Certain nationalities do have higher SUID rates than others do. From 2011 to 2014, here are the SUID rates per 100,000 for various nationalities. 194.1 for American Indian/Alaska native. 170.2 for non-Hispanic black infants. 32.7 for Asian/Pacific Islander infants. SIDS caused nearly half of the deaths of the SUIDs for every racial group, ranging from 44 percent to 52 percent. The smallest percentage of death for all groups came from accidental suffocation and strangulation while in bed. 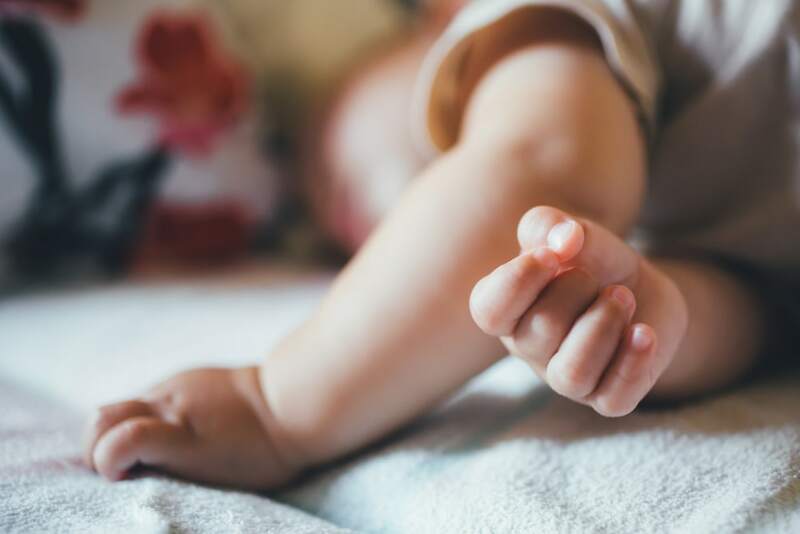 Now that you know what factors may increase your child’s risk of SIDS or SUIDS, you need to know what safety tips to follow so you can be proactive about making your child’s slumber as safe as possible. There’s nothing you can do to completely safeguard your child’s health. That’s a painful truth to realize as parents. We want to protect them from everything, but we simply can’t. The best we can do is learn all about the hazards they face and try to mitigate them as much as possible. Education really is our best bet. But, luckily, there are some measures we can take to increase the odds they won’t end up succumbing to SIDS or other sleep-related hazards. Since the American Academy of Pediatrics began recommending babies sleep on their backs instead of their stomachs in 1992, the incidents of SIDS has decreased by over half. Sleeping on their backs makes a baby less likely to get overheated and gives them a greater amount of fresh air to breathe. Side sleeping should be discouraged until your child is old enough to roll over on their own. At that point, always start your child off on their back, but if they roll to their side, you don’t have to move them back into the back position. Sleeping on the stomach should be avoided. Tummy time is important, but only during your baby’s waking hours while you’re supervising. It’s essential your baby have fresh air circulating while they’re sleeping. If they have a blanket covering their face, they’ll have less access to the fresh air they’ll need. That’s a dangerous situation for a baby, particularly one that may still be a little stuffy from a recent illness. Babies often fall asleep in the strangest places — that’s because they tend to sleep a large part of their day. Here are some of their favorite spots to snooze. Cribs: A crib is the safest spot for a baby to sleep. Use a firm mattress and don’t worry about how hard it seems to you — babies have no problem with it. Bassinet: Bassinets are fine for infants, but they shouldn’t be used for older babies. Only use them until your baby starts to roll or move around more. That is somewhere around the age of 4 months (source). Co-sleeper: Co-sleepers are a relatively new piece of baby gear, but they seem to be just fine, provided they are used correctly. Baby swing: Babies do sometimes fall asleep in their baby swings and moms are often reluctant to move them for fear of waking them and destroying their few minutes of peace and quiet. Doctors do recommend moving babies from the swing to their crib if they fall asleep there. Hammock: Hammocks aren’t recommended for babies to sleep in because they could roll into an unsafe position. If you’re supervising your baby during a day nap, a hammock is fine to use, but it should never be used for unsupervised sleep (source). Couch: Couches are never a safe option for your baby. They can roll over and fall off, and they can sink in some if the couch is too fluffy. That can cause a breathing issue. The American Academy of Pediatrics now recommends room sharing until a baby reaches a minimum of 6 months old. But doing it until a baby turns 1 year old is even better, they say. But a baby should have their own place to sleep, like a crib, or a co-sleeper that attaches to your bed, or a bassinet. Putting a baby in your bed is a huge suffocation risk. Putting your baby in your bed may feel good to you. You’ll get their snuggles all night long an be able to keep a close eye on them. But the suffocation risk is too great in your bed. Your blankets could cover your baby’s face, your pillows could cut off their air supply, and you could roll over on them accidentally in the night. While some parents have successfully shared a bed with their baby, this is not something you want to try on a whim. When selecting a crib or bassinet, it’s important err on the side of safety. Think long and hard before you buy a secondhand crib or bassinet, especially if it’s considerably old. We know a lot more today about sleep safety than they did generations ago when they made some of those items. Any crib should have rails and it should not have a folding or drop down side. When buying new, make sure it meets any safety standards and certifications. A quick internet search will tell you all you need to know about the safety reputation of the product you’re looking at. When you decide where to put the crib, either in your room or your baby’s nursery, keep it away from heaters, windows, and dangling cords. The mattress you’ll use for your baby must be firm because that’s the safest option. It should fit snugly into the crib leaving little space between the sides of the mattress and the rails of the crib. The only piece of bedding you need is a fitted sheet. It must fit tightly onto the mattress. One of the most common mistakes parents make when setting up their child’s crib is by using bumpers. Bumpers are not only unnecessary, but they pose a suffocation and strangulation risk for your child as well. Keep the stuffed animals out of your baby’s crib. They may look cute, but safety is more important any day than the cute factor. At their age, those stuffed animals serve absolutely no purpose in their cribs. This also includes toys attached to pacifiers. Those aren’t safe, especially in the first 4 month window. Don’t keep your baby’s room too warm – they shouldn’t get overheated. Their room should be cool enough that you don’t feel hot when you go in there. A temperature of 68 degrees is good for sleeping. Go with a sleep sack over a blanket. Swaddling with a blanket is a popular method of keeping a baby warm at night. But it’s better to use a wearable blanket like a one-piece sleeper or a sleep sack. But if you do opt to swaddle your baby, you should stop by the time they are 2 months. You don’t want them rolling over and compromising their airways because they’re too tightly wrapped. Pacifiers cut down on the risk of SIDS. But don’t attach the pacifier to your baby’s clothes while it is sleeping. And if the pacifier falls out of your baby’s mouth while they are sleeping, there’s no need to put it back in. Items like sleep positioners are unneeded and potentially dangerous. Wedges placed around your baby to help them maintain a certain position during sleep is never a good idea. Cardiorespiratory monitors are another product touted to reduce SIDS in babies, but evidence shows they don’t work (source). It can be cute to watch your twins all cuddled up together while they’re sleeping. But babies still need their own space to cut down on suffocation risks. If your baby is going to a daycare, homecare or staying with a relative when you go back to work, or if it’s just an occasional babysitting day, you should review the ground rules with the caregiver. That can be especially important if the caregiver isn’t a mom or if she’s an older mom, like a grandma. Since the safe sleeping rules were changed 25 years ago, if this is a woman’s first grandchild she might not know that babies are supposed to sleep on their backs now instead of their tummies. And caregivers who aren’t moms and might just be filling in for a regular caregiver may not have any idea that it even matters which position a baby sleeps in. You can’t count on anyone to know how to best take care of your baby if you don’t give them instructions on how to do it. If the babysitting is occurring away from your home, you should ask to check out where your baby will be sleeping. Stress the importance of back sleeping, not having pillows, stuffed animals, or any other suffocation hazards near your baby. To educate caregivers, give them printable resources or direct them to our infographic. Sometimes the hardest part of educating people is battling their misconceptions. There are a few myths about SIDS and SUIDS that moms should know about. These misconceptions may prevent parents from taking the necessary steps to protect their babies. That’s why it’s so important to dispel them. While many parents are leery about perceived harmful consequences of vaccines, SIDS is not caused by vaccinations. Since most infants do receive a series of vaccinations around the same time as SIDS occurs, it’s easy to understand why grieving parents might link the two. But studies have shown no spike in SIDS caused by vaccinations (source). The only thing this myth does is open up babies to preventable diseases because their parents may be too scared to get them the vaccinations they need. While it’s understandable to be worried about things being injected into your baby, think about all the lives vaccines have saved over the years when you’re tempted to skip them. Babies spit up a lot, even when they sleep. Parents mistakenly believe if a child spits up while they’re laying on their back that they’ll choke on it. That used to be a commonly held theory generations ago, but doctors say there is no basis to it. When babies do spit up in their sleep, they can turn their heads and keep their airways safe so this myth isn’t worth getting all worked up about. The only thing hooking up a baby to a monitor every time they go to sleep will accomplish is driving you crazy. Wearable monitors don’t seem to prevent SIDS, according to doctors. And these monitors may go off so frequently that you’ll become annoyed by them. You might eventually turn them off anyway after you’ve had a lot of false alarms. Your baby should always, without exception be placed on their backs to go to sleep. But what happens after your baby gets a bit older? If they roll over, do you have to keep repositioning them on their backs? The answer to that is no. You’ll drive yourself crazy, and it’s not necessary anyway. By the time a baby reaches 6 months old, the risk of dying from SIDS decreases dramatically. And once your baby reaches the age where they can roll over, they are usually developed enough to realize when something is wrong. And they’ll be mature enough to roll back over if they find themselves in a pickle. It’s imperative to make sure your baby has their own surface to sleep on — one that doesn’t include you. If you want to be right by your baby, consider using a co-sleeper. SIDS happens silently and quickly — it’s much like a drowning in that respect (source). Even the most attentive parent needs sleep too. And even if they were awake, there’s a good chance they wouldn’t even notice it happening. As much as we parents would love to have nothing else to do than stare at our baby all hours of the day and night, we can’t. We need to sleep too. And our babies need to have healthy parents — and that includes us getting plenty of rest. This myth might be one of the most harmful ones out there because it wrongly puts the blame on parents who may have done everything right. Parenting is hard enough without putting a guilt trip like this on other parents. From the moment you find out you’re pregnant, your life will never be the same. You’ll be filled with worry about your baby’s safety, and one of those concerns will undoubtedly be SUIDS. The traditional separation between a child’s room and a parent’s room has been evolving in recent years. As a parent, you need to look at your lifestyle, anxiety levels, and decide for yourself what will work best for you and your baby. While room-sharing of some sort is an option, you can also have a perfectly safe baby if they have their own nursery. Read over your options and do what feels right for your particular situation. And, as a parent, you should never feel the need to justify your decisions to anyone. Did worries about SUIDS influence your sleeping arrangements with your baby? Please share this article with any soon-to-be mom in your life. I liked the article, but I can’t believe that 28 in 1,000 babies dies of suffocation in the US each year. Could your numbers be incorrect?